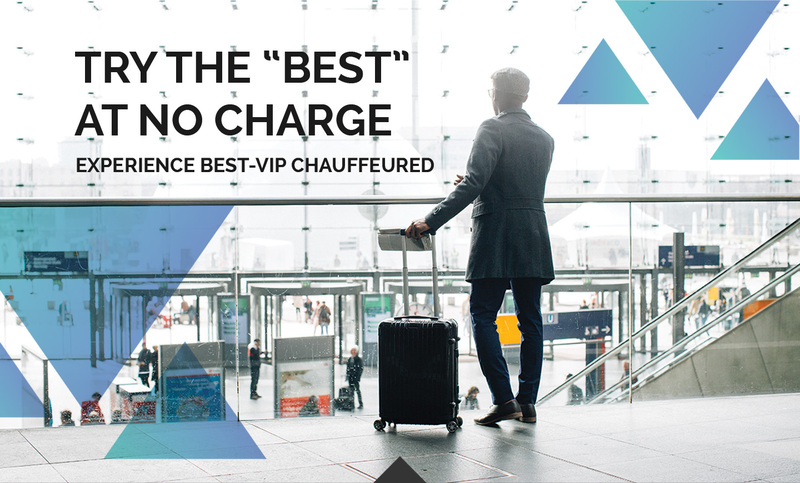 Be One of the First 100 Orange County Executives to Experience the First-Class Transportation Services of BEST-VIP Chauffeured. The all-inclusive round-trip rides include everything: chauffeur's gratuity, applicable tolls, parking, bottled water, everything! Trips will be distributed on a first-come, first-served basis until all 100 round trips are awarded. Executive Assistants and travel managers who are responsible for regularly arranging travel for C-level executives are the only ones who can apply for this offer. The executive must be a frequent traveler who flies in or out of the Orange County area at least 10 times a year, and must be a first-time client of BEST-VIP Chauffeured. This is open to those executives who have NOT used BEST-VIP in the past. Pick-up and drop-off locations must be in our local service area. Multiple requests from the same person with additional C-level executives will be considered on a case-by-case basis. Experience the Difference in BEST-VIP Chauffeured Executive Transportation. Fill out the information below to see if your Executive qualifies, and we will reach out to you shortly!